Los Angeles-based brand, JOYRICH, has announced another lively collaboration. 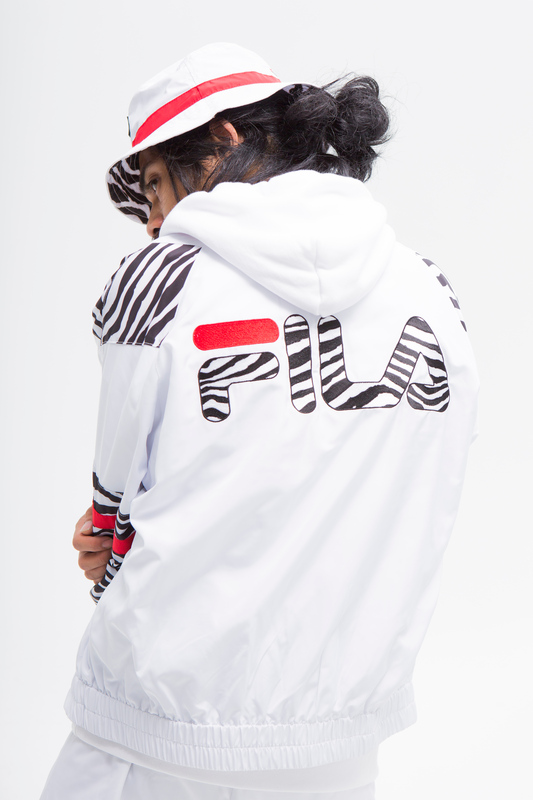 This time, they’ve teamed up with sportswear company, FILA, on a Spring/Summer 2015 collection that’s ready to bloom. 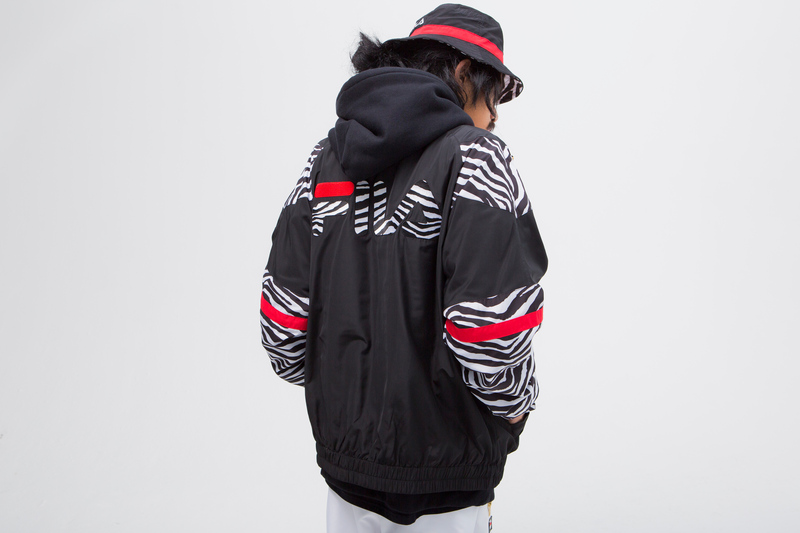 See the entire JOYRICH x FILA Spring/Summer ’15 collection after the jump. 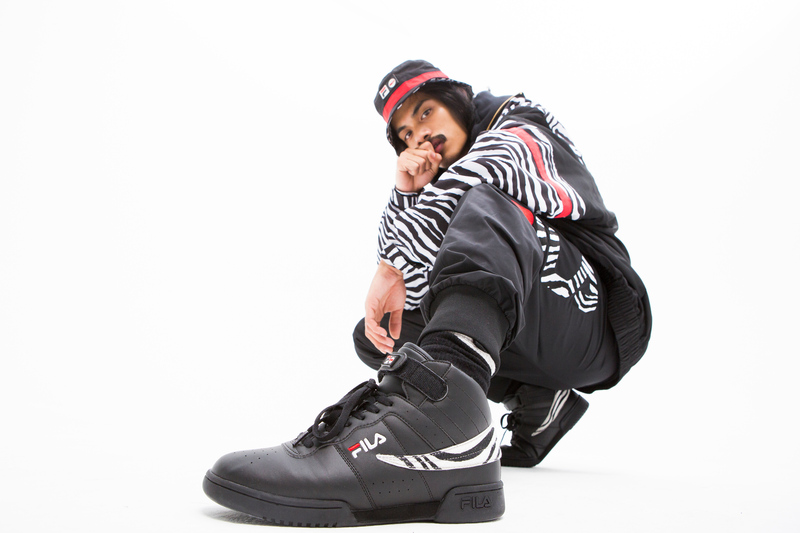 JOYRICH and FILA produced a particularly “bestial” set of athletic apparel featuring zebra prints placed over black and white color ways. 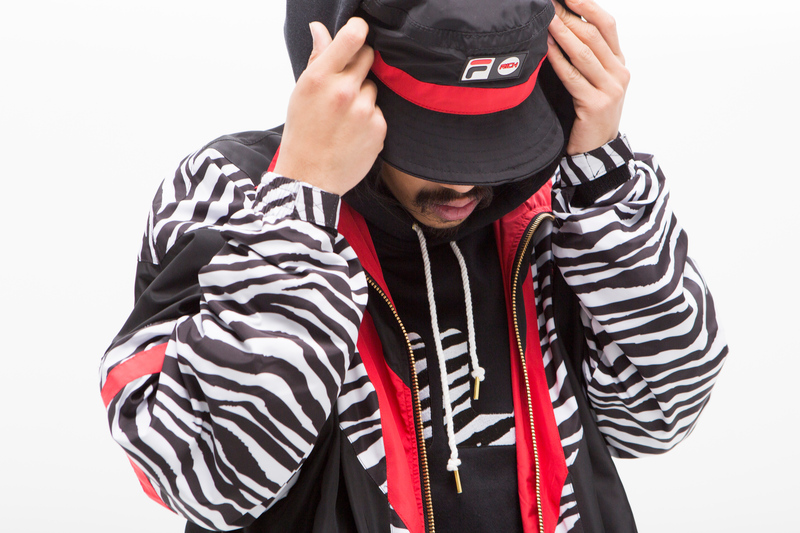 Hints of FILA-red appear throughout the collection and round out the collaborative ensemble. Comprised of tracksuits, tees, hoodies, windbreakers and bucket hats, JOYRICH and FILA bred an animated, athletic, yet comfortable, Spring/Summer collection. But the key item seems to be the classic F-13 sneaker that took the spotlight ⎯ characterized by its soft premium leather on the upper and backed by a zebra print pony hair flag. With a carefully embroidered logo on the tongue, a special molded collaboration label on the strap and a gold plated hang tag, you can guess these shoes will find their way into the closets of sneaker collectors everywhere. Find the JOYRICH x FILA Spring/Summer ’15 collection at all JOYRICH flagship locations, as well as on Joyrichstore.com.